Fr. Scott Detisch is a priest of the diocese of Erie, Pennsylvania. He has been involved in parish ministry and priestly formation for many years. He currently serves at St. John the Evangelist Church in Girard, Pennsylvania, and he is an adjunct faculty member at St. Mary Seminary in Wickliffe, Ohio. "Fr. Detisch, clearly a gifted spiritual director himself, offers a compendium of wisdom gleaned from all the best sources in the church's treasury across the ages: Scripture, the church fathers, mediaeval and modern spiritual guides. 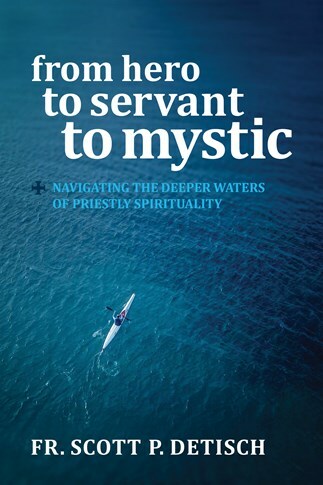 The Hero, Servant, and Mystic archetypes are presented in language that sheds light on the life-journey, not only of the ordained but of all serious pilgrims."